Arleta Truck Accident Injury Lawyer - Over 40 Years of Experience You Can Trust! Have You or Anyone You Know Been Injured in a Truck Accident or Car Accident in Arleta? Our truck accident injury attorneys and law firm in Arleta provide aggressive and compassionate personal injury legal services for anyone injured in a truck collision, especially crashes with semi-trailer trucks, and for the families of those killed in truck and other tragic accidents or wrongful death claims in the community of Arleta, which has a population of 31,068 within the San Fernando Valley region of Los Angeles in Los Angeles County, California. Arleta is bordered by Mission Hills to the north, Sun Valley to the east, Northridge to the west and Panorama City to the south. 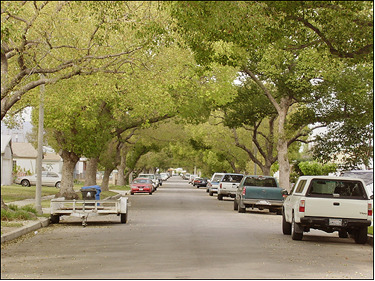 Arleta is known for being the site for the Back to the Future movie with the famous street where the car goes back in time. It is necessary to make sure your vehicle is properly working and driving on the road. You can be a professional driver or have years of experience behind the wheel, but a major malfunction of a vehicle's parts could almost certainly lead to a collision. Even more dangerous would be if a huge tanker or 18 wheeler malfunctions by getting a flat tire or failed brakes. Due a truck's large size and heavy weight, a truck crash could cause greater damage and lead to more fatalities. To ensure that your vehicle does not have problems, you should take it to your local dealership or mechanic. If it is a commercial vehicle, alert the company if you notice any problems and have them take it back for repairs. As a driver, you must be proactive and look for any signs that could indicate your vehicle is malfunctioning. If every person on the road takes care of their vehicles, many dangerous situations will be avoided, ensuring safer conditions for people to get to their destinations. 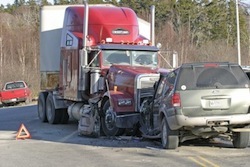 A serious injury suffered from a truck collision is a skull fracture. A skull fracture can occur from an excessive impact to the head and can include a concussion injury. There is usually no significant damage to the head with a linear fracture, unless the fracture is in close proximity or transverses a suture. A depressed fracture displaces the broken bone inward and has a high pressure on the head or a hemorrhage to the brain that crushes delicate tissue. Please contact us now, including for referrals to doctors who may provide treatment without a request for payment until we resolve the claim, if you or a loved one suffered a skull fracture from any truck accident or other personal injury accident in Arleta, Los Angeles or anywhere in California. Please visit our Attorneys' Profile Pages and Truck Injury Accident Web Site to learn more about our law firm and truck accident injury claims. The Law Offices of Gary K. Walch, A Law Corp., provides you with the strong advocacy that you require when you or a loved one has gone through a terrible truck collision or other personal injury accident in Arleta or anywhere in California, while also providing the compassion and understanding to make this process easier for you and your family. It is our duty to aggressively pursue your rights and best represent your interests. Our attorneys handle accidents involving truck, bus, train, car, motorcycle, bicycle, uninsured motorist (UM), hit and run, pedestrian and much more.